Clearly, hopping aboard the craze for hazy New England style IPAs currently rampaging through breweries across the country wasn't enough for Dainton Family Brewing. They had to go and give the style something a little more, well, Dan Dainton. 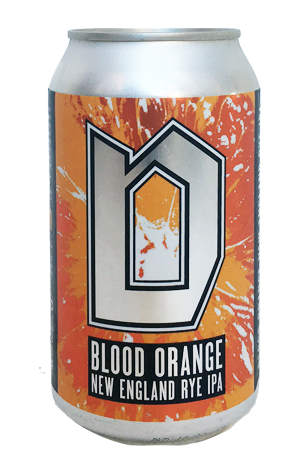 So, for their spring entry into the land of the NEIPA, they added his favourite grain, rye, and loaded the beer up with blood orange too – presumably to make sure it really was juicy. Thus, accompanying the citrusy hop aromas you'll find characteristics reminiscent of the flourless orange and poppyseed cakes that crop up without fail in quaint rural cafés. It's kind of appropriate too as the beer, in all its slurry-esque glory, is just as opaque as a slice of those cakes. It layers on the citrus juice like a gran layers sugary whipped cream onto her slice of flourless orange and poppyseed cake at her table in the window (OK, that's enough of the cake metaphor, thanks), comes with a brekkie juice like prickle and a bitterness that's more zesty than punchy, hidden amid the fruit slurry like a crumpled old tissue in the base of that gran's tattered handbag (That's it. You're fired).